Liftoff, a leader in mobile app marketing and retargeting, today released a new report on developing trends in the fast-changing world of mobile commerce. Specifically, it found that retail app marketers are poised to have their most profitable year yet — consumers across the board are becoming more at ease shopping on mobile, though the data reveals that women are considerably more engaged than men. The report also breaks new ground by segmenting shopping apps into key categories for insights into how marketers can more effectively turn a shopper into a buyer. As Facebook’s ad inventory continues to fall, ad costs on the platform have spiked: in January 2018, cost per thousand ad impressions (CPM) on Facebook was up a whopping 122 percent from the previous year. While Facebook CPM rises, Liftoff’s data shows that retail app acquisition costs have declined since last year, suggesting that programmatic advertising is giving retail app marketers more value for their ad spend. In fact, the average cost to acquire a user who completes a first purchase ($58.35) showed a 23 percent decrease from the previous year. At the same time, the average install-to-purchase rate (7 percent) is up 20 percent year over year– signaling that consumers are more receptive than ever to exploring mobile shopping apps. What’s more, the spending frenzy expands past the traditional period as September kicks off a period of soaring engagement and low acquisition costs, hitting a value pinnacle in December when engagement reaches 9.4 percent (from 6.73 percent in August) and average acquisition costs dip 23 percent to $44.90 (from $58.33 in August). The takeaway? The convenience afforded by mobile means that consumers are in shopping mode for longer periods during the year, and marketers are reaping the benefits. To get the best return on your marketing dollar this year, expand your efforts beyond traditional tentpole shopping holidays, and try your hand at alternative marketing platforms — you just might win big. Though men are more likely to be early adopters of new technologies than women, Liftoff’s data suggests that mobile commerce is at least one area where women more readily embrace innovation. At $84.93, the cost to acquire a purchasing male user is 65.5 percent more than that of their female counterparts, who have nearly double the install-to-purchase rate as men. It’s possible that female acceptance of mobile retail can be attributed to the rise of mobile-first brands like Glossier or Everlane, which tend to target women via platforms like Instagram. But when it comes to mobile commerce, a rising tide lifts all boats. As these brands continue to successfully target women with mobile-first strategies, this valuable demographic is growing more accustomed to shopping on mobile in general: the cost to acquire a purchasing female user has decreased 4.8 percent from last year. 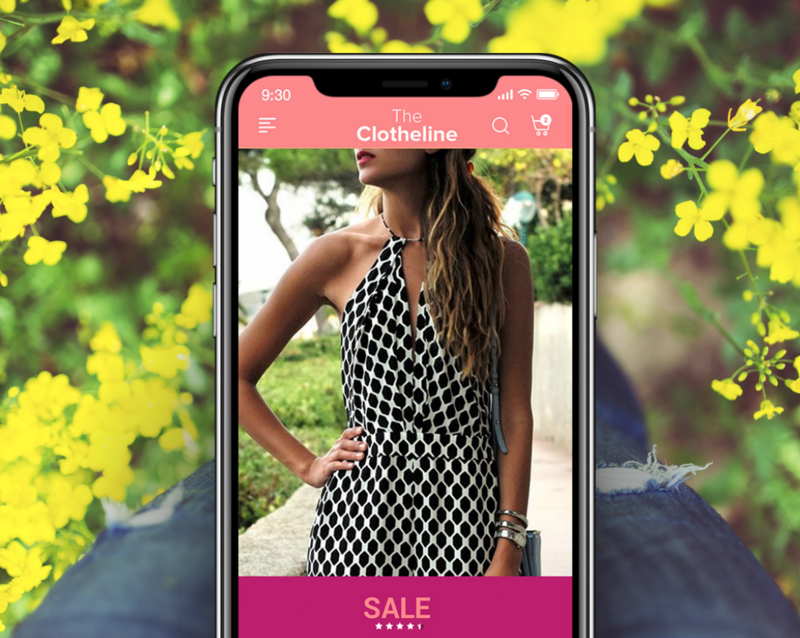 Given the halo effect from a few successful brands, marketers can continue to capitalize on women’s ever-growing interest in mobile commerce. At the same time, men remain an untapped market, presenting an opportunity for mobile marketers to create new strategies in order to convert men and mimic the success of female-centric brands. In a usage breakdown of retail app categories, Liftoff finds that marketplace apps like Amazon have the lowest install-to-purchase time (8.5 days) compared to branded apps like GAP (12 days). However, there’s hope for branded apps: at 4 minutes 16 seconds, they actually beat out marketplace apps (5 minutes, 10 seconds) at the install-to-registration stage, indicating initial interest among consumers. To keep up with marketplace apps, branded app makers can reassess the customer journey and retarget deeper in the funnel to move registered users through the coveted purchase stage. Taken as a whole, users are becoming more purchase-happy on mobile and marketers have more opportunities to influence their purchase decisions than ever before. Retail app marketers can best capitalize on this by creating campaigns to target proven demographics at key times of the year, while thoughtfully removing friction from install to purchase to influence and convert even more shoppers. The 2018 Liftoff Mobile Shopping Apps Report is based on an analysis of internal data from April 1, 2017 through April 1, 2018, spanning 58.1 billion impressions (58,155,727,824 to be exact) across 10.2 million (10,206,012) installs and 1.8 million (1,842,878) first registrations and purchases. Specifically, the report tracks costs and conversion rates across engagement activities, the time it takes users to complete in-app actions post-install, as well as usage trends across platform (iOS and Android), user demographics (gender) and region (APAC, EMEA, and North America). The report also breaks new ground, segmenting shopping apps into three key categories and highlighting the time frame and contexts that are required to convert a consumer. Liftoff is a performance-based mobile app marketing and retargeting platform which uses post-install user data to run true cost-per-action user acquisition and re-engagement campaigns. Powered by advanced machine learning and lookalike targeting, Liftoff campaigns are optimized to drive actions beyond the install, like booking a hotel, making a reservation, or renewing a subscription. Liftoff’s cost-per-action model helps customers scale and grow by acquiring users that actively spend in revenue-producing events. Headquartered in Palo Alto, CA with offices in New York, London, Singapore, Tokyo, and Paris, Liftoff works with leading app publishers and brands across the globe.